At about 1:45 PM on Sunday June 3, 2018, an officer assigned to District C-6 (South Boston) safely recovered a loaded firearm after responding to the sound of shots fired while on patrol in the area of 111 Flaherty Way in South Boston. 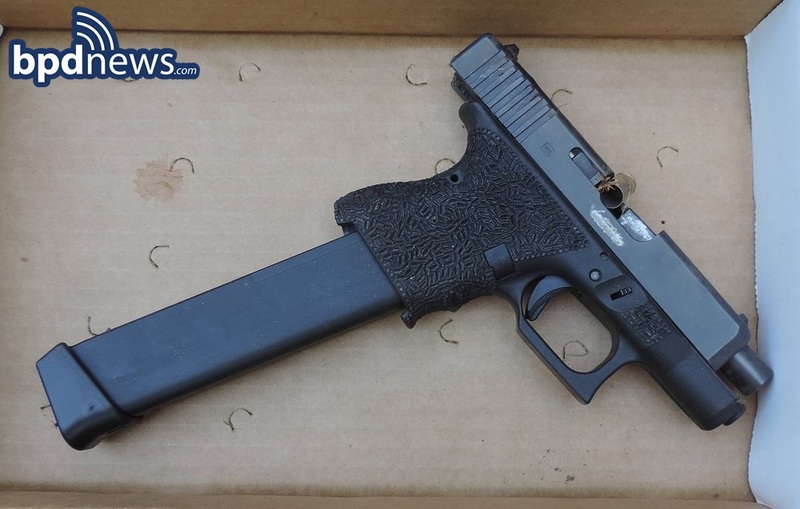 The officer was able to locate and recover a loaded 9mm Glock 19 handgun with an extended magazine and an obliterated serial number in the area of 130 Orton Marotta Way. The firearm has since been turned over to the Boston Police Firearms Analysis Unit for processing. The investigation into this incident remains active and ongoing at this time.